Quality installation is way more than knowing to put "Fuzzy Side Up"
Our installers are are the backbone of our business. Without them, we're just a bunch of people driving around with pretty samples. 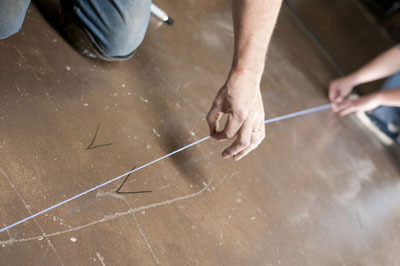 Installers are often the most under appreciated people in the entire flooring process. We're hoping to change that by giving you a glimpse into what their jobs entail. Flooring, especially carpet, hasn't made the top list of DIY projects, and for good reasons. Between the tools needed and the time it takes to actually get good at it, not to mention the sheer physical nature of the work, it just makes more sense to hire a professional. Take a look at some of the steps that happen after the installers arrive. Most of our installations occur in occupied homes. Look around the room. See all that stuff? It all has to go somewhere. While we'll move the furniture, we do ask that you move the stuff. China cabinet in the dining room? No problem, but please take the china and crystal out first. Elaborate home entertainment system? Please disconnect and be prepared to re-connect on your own. Flooring installers rarely moonlight with Geek Squad. All this needs to happen before the installers actually install any flooring. It is like a job before a job, and they have to be great at both. Demolition, as we call it, is rarely as glamourous as the popular DIY networks will have you believe. The good looking host rarely comes in dressed in a suit to help pull up the old flooring. -Combinations of all of the above! Most of the time, your Flooring Specialist knew about all of the layers and we planned accordingly. Sometimes it is impoosible to know what lies beneath until we start peeling back the layers. This can result in additional time and expense. Remember, this discovery is not the installer's fault, but it does need to go, and we'll all work together to develop a plan to get the job done. This all needs to be done in an organized fashion, breaking the old flooring down into pieces that can be safely transported out of the rooms. After pulling up any old flooring, we're down to the subfloor of the space. This is usually from the original home construction, and will typically be concrete, plywood or OSB (oriented strand board). Depending on the condition of the subfloor, and what flooring material we're installing, we may need to do some work to the subfloor to get it ready. Unless the space was empty of furniture and existing flooring during your in-home consultation, it is nearly impossible to predict if subfloor repairs will be needed. Starting on a good foundation can make the difference between a bad installation, and a great installation. In addition to voiding product or installation warranties, an unrepaired subfloor can lead to hollow sounding spots, squeaks, premature wear, and more. Flooring comes off of rolls or out of boxes. Somehow we have to make it all fit into the shapes of your room. Lots of work and thought have gone into your project to get us to this point. We're finally ready to install the first piece of your new flooring. -For rooms bigger than the roll of carpet, seams will be made between the pieces. -Carpet is then trimmed to follow the outline of the room. After the primary flooring material is installed, there may be some finishing touches to give the job a professional look. -New baseboards, quarter round or shoe may be installed. The installers will return the work area to "broom swept clean" condition. Please keep in mind, this is not a deep cleaning. Dust from the demolition and installation processes may find its way to your furniture and belongings in the installation area and beyond. 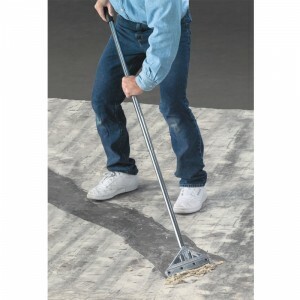 We strongly suggest a deep cleaning after your installation is complete to remove any remaining dust. 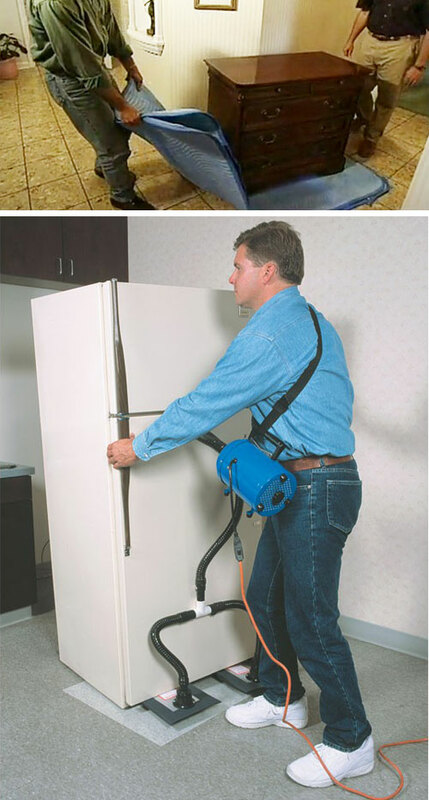 Depending on the size and type of project, this may even include an air duct cleaning. Ask your Flooring Professional about our post-installation enhanced cleaning options. Before the installers leave, you will have the opportunity to walk through the project area to inspect the quality of the installation. If anything needs attention, now is the perfect time to point it. The installer will ask you to sign off that the project was completed, and will make note of anything that still needs to be addressed. -Doors to the exterior of the property may be opened and closed multiple times. Please keep kids and pets contained to avoid any runaway situations. 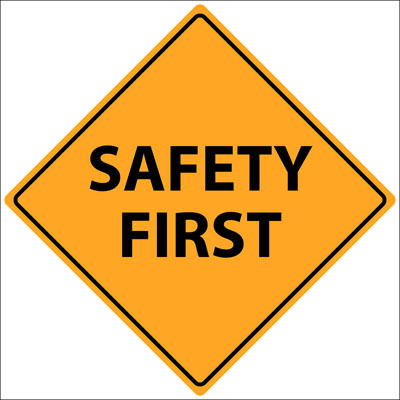 -Children and pets should be kept out of installation areas at all times. Boarding pets is recommended for multi-day installations. -Installers use sharp or otherwise dangerous tools. -Extreme care should be exercised at all times during the installation, even if the crew has left for the day. -Shoes MUST be worn at all times near the installation area(s). Even though installers exercise extreme care in performing their jobs, it is important to note that the physical act of removing and installing flooring can have unintended consequences at your home. We'll work with you to make these right. 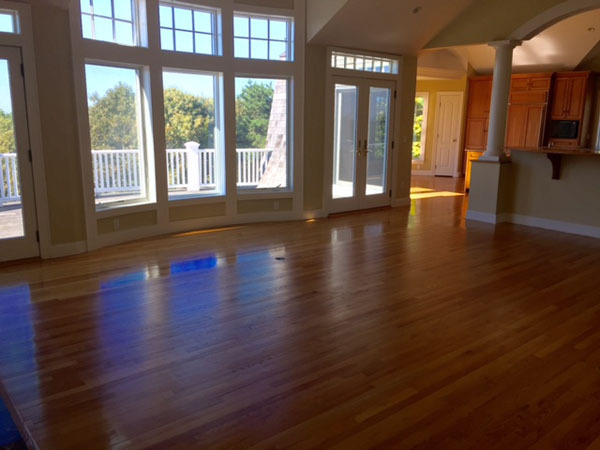 Your Flooring Professional will discuss this in greater detail, but here are some key points. 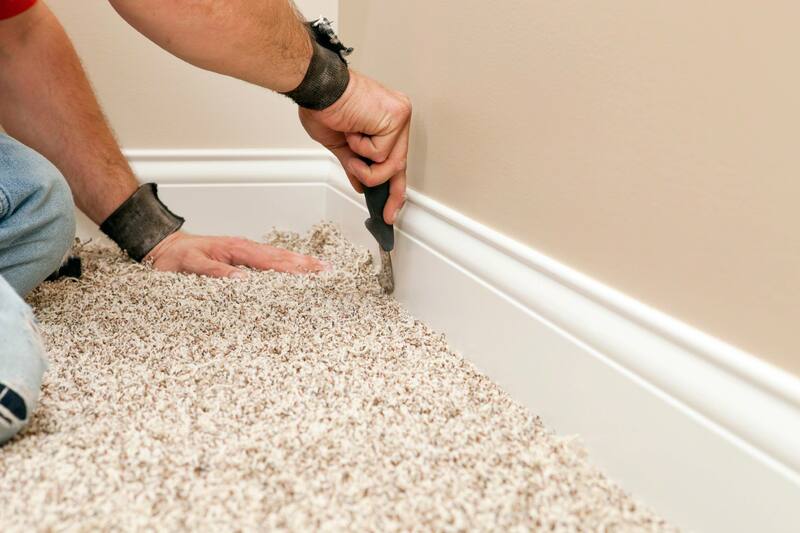 Painted surfaces, especially those recently painted, can be scuffed by the back of carpeting. We recommend painting AFTER the flooring is installed. Furthermore, dust from the removal or installation can stick to tacky paint leaving you with fuzzy walls. Even mediocre painters can protect the floor better than the best flooring installers can protect your walls. We can't touch up if there is no paint. Assuming it wasn't freshly painted as we advise against that, If a nick or scuff happens to your wall, we'll be happy to attempt to touch up for you. However, you must have the paint available for us to do so. 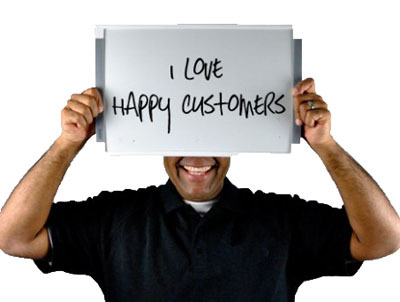 Our installers will walk through the project area before starting, and will note and/or point out any existing damage. For any other damages, our installers are all insured. Other stuff that happens may involve things outside of our control. Take the weather for example. Mother nature doesn't always respect our installation schedules. If 'outside' is the only place the installers can stage furniture or materials, or make cuts, we do need the weather to cooperate. If this prevents your scheduled installation, we'll do our best to reschedule as soon as possible and on a day that works for you.